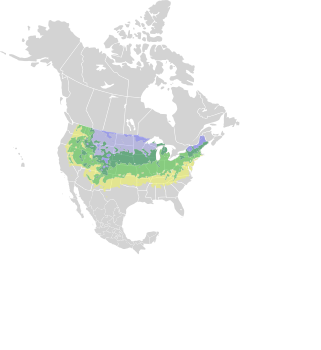 Yellow birch is a North American native. 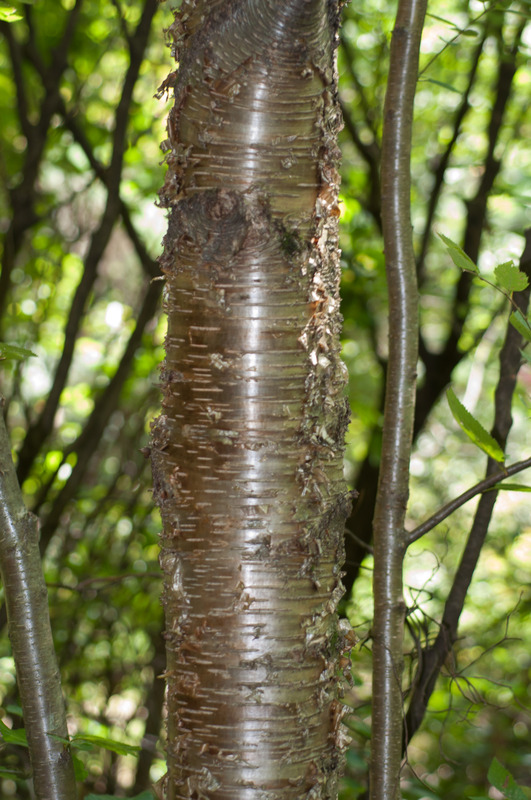 Identification: Trees are 60-70' (18-21 m) tall, rarely reaching 100' (30 m). 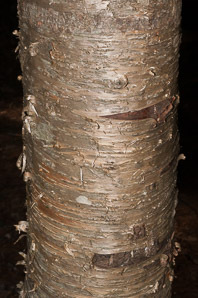 Tree shape is pyramidal in young trees, and usually uneven in mature trees. 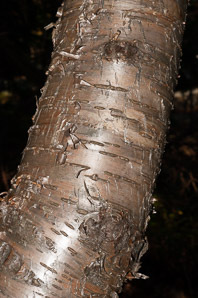 The yellowish-bronze bark, easily peeled as with other birches, is unique in appearance; the inner bark has a slight odor or wintergreen. 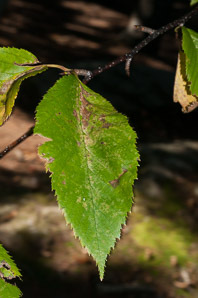 Leaves are alternate and unlobed, 2-4½" (6-12 cm) long and half as wide. 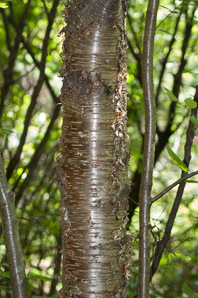 Yellow birches have both male and female flowers on the same tree. 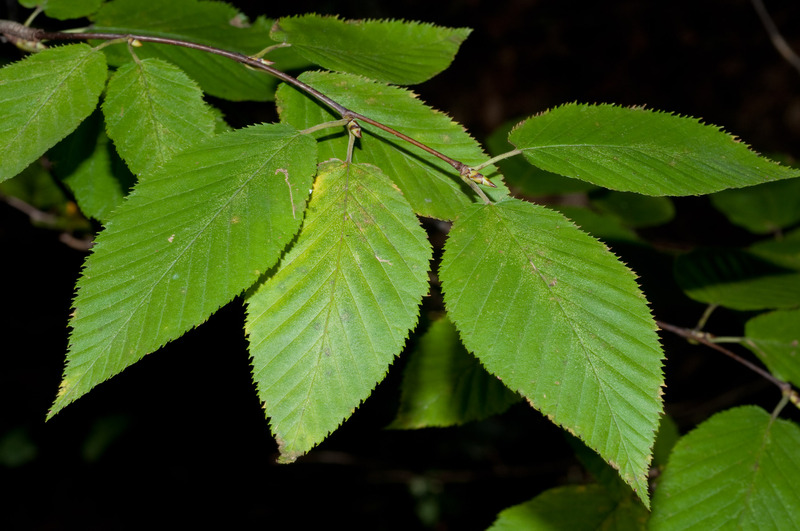 Male flowers are catkins near twig ends, 1" (2.5 cm) long and reddish green. Female flowers point upright. They are ⅝" (1.7 cm) long and reddish-green. Fruits resemble small cones, ¾-1¼" (1.9-3.2 cm) × ¼-⅜" (6.3-9.5 mm). 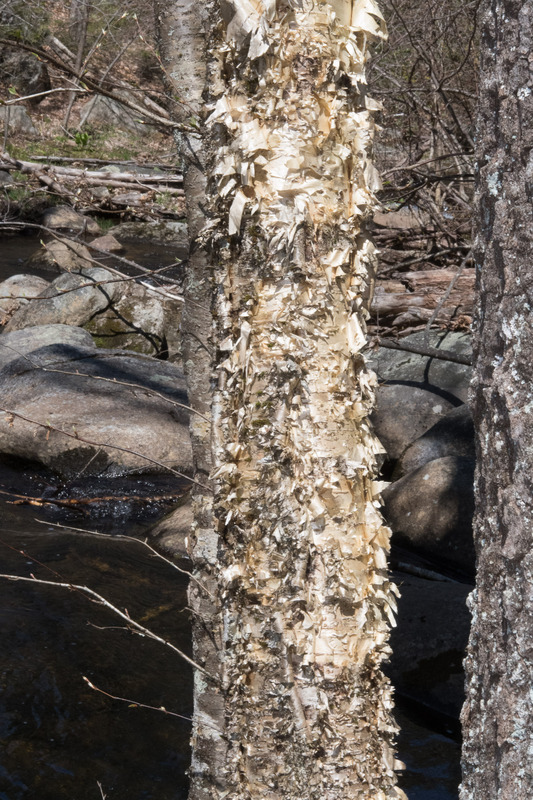 Edibility: The sap may be harvested and processed like that from sugar maples, though the sugar content is much lower. The inner bark can be cooked or dried, then powdered and used as an ingredient in making bread. Twigs and leaves can be used to produce a tea. 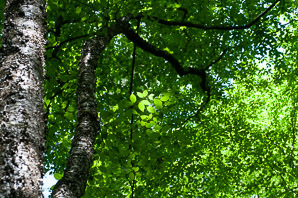 Plant Trees are 60-70' (18-21 m) tall, rarely reaching 100' (30 m). 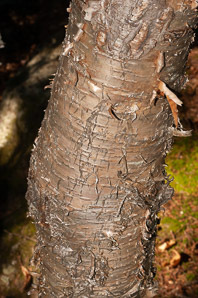 Tree shape is pyramidal in young trees, and usually uneven in mature trees. 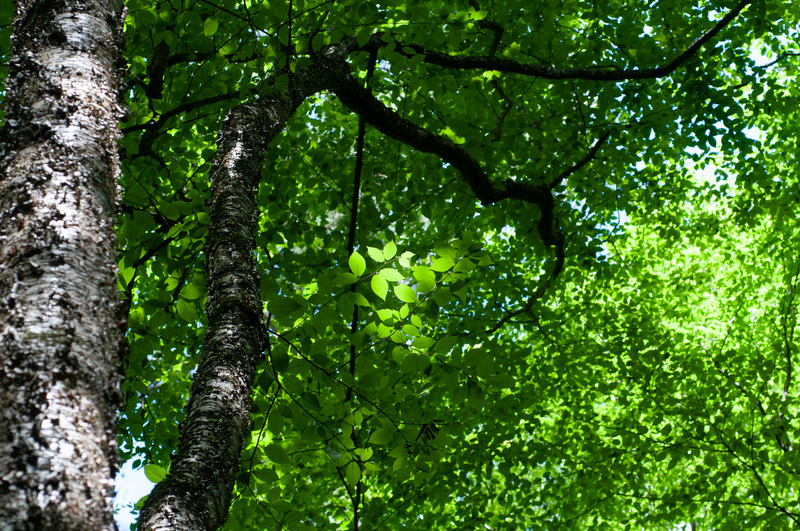 Trees are up to 82' (25 m), rarely reaching 98' (30 m). 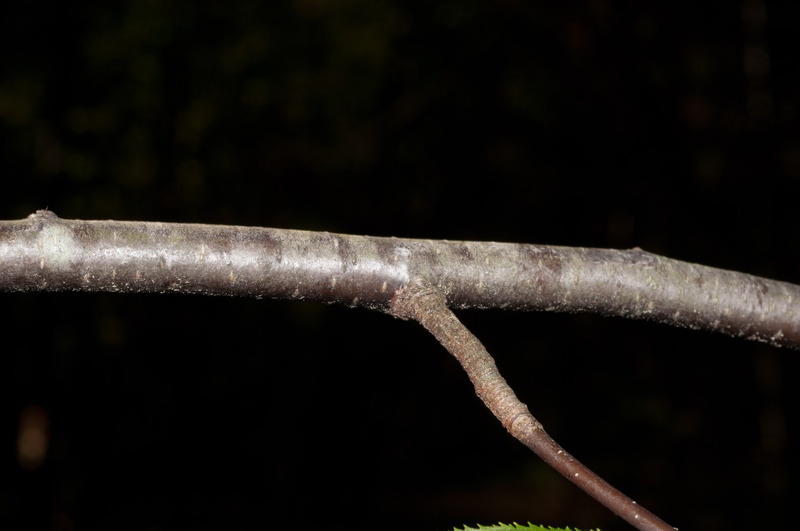 They often have multiple trunks. 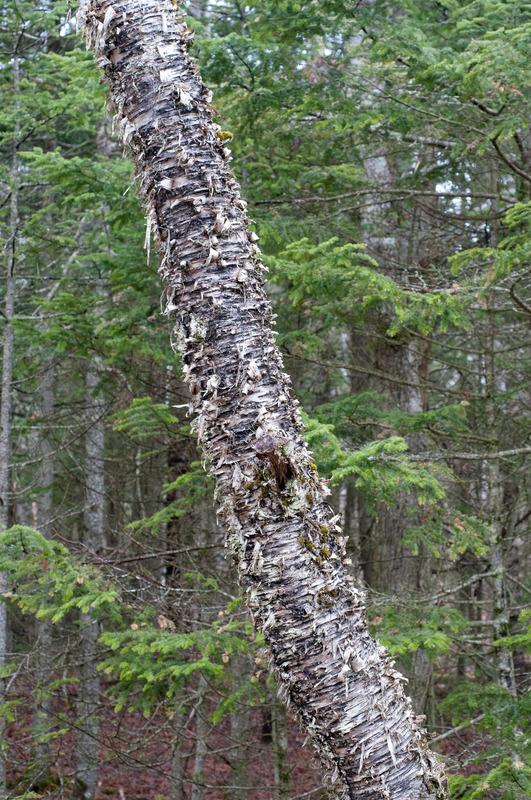 Trees tend to be pyramid-shaped when they are young, becoming more irregular as they age. Flowers Yellow birches have both male and female flowers on the same tree. 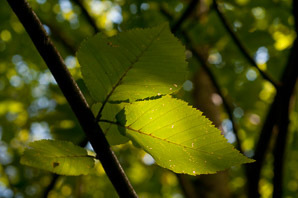 Male flowers are catkins near twig ends, 1" (2.5 cm) long and reddish green. Female flowers point upright. They are ⅝" (1.7 cm) long and reddish-green. 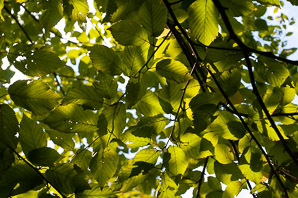 Male and female flowers appear on the same tree. Male catkins are up to 3" (7.6 cm) long in April; female flowers are inconspicuous. 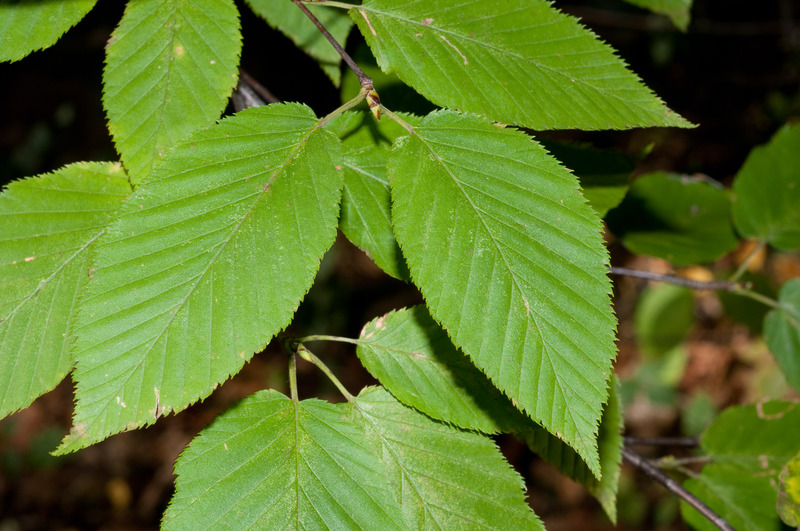 Leaves Leaves are alternate and unlobed, 2-4½" (6-12 cm) long and half as wide. Leaves are dark green, alternate, unlobed. 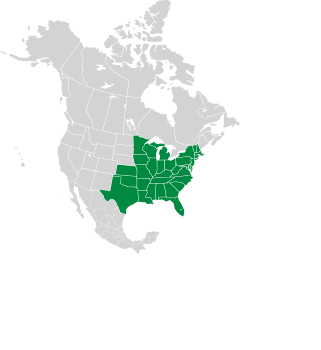 They are roughly diamond-shaped, with the top half of the diamond more pointed and with doubly serrated edges, while the bottom half is flatter and with smooth edges. Leaves turn yellow in the fall. 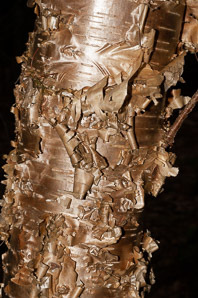 Stem The yellowish-bronze bark, easily peeled as with other birches, is unique in appearence; the inner bark has a slight odor or wintergreen. Bark is highly variable. 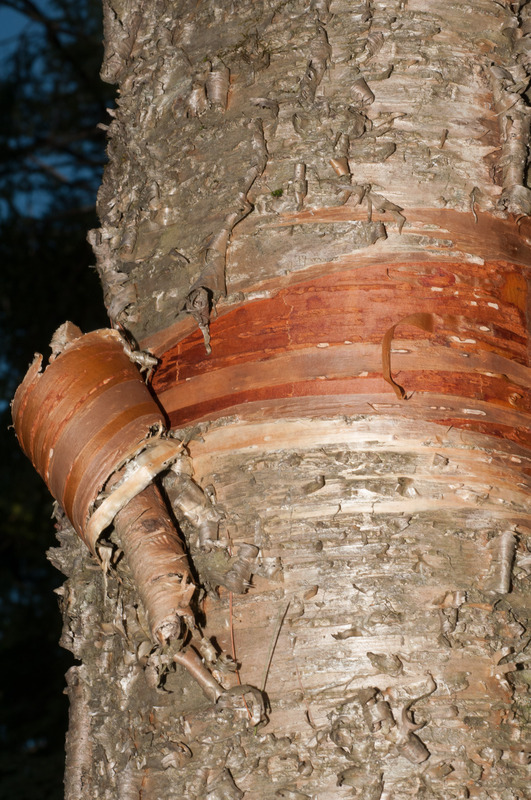 As with other birches, it peels away spontaneously (“exfoliates”), making the trunk look ragged. It may be dark gray-brown and scaly, pinkish-brown, or white and papery. Fruit Fruits resemble small cones, ¾-1¼" (1.9-3.2 cm) × ¼-⅜" (6.3-9.5 mm). 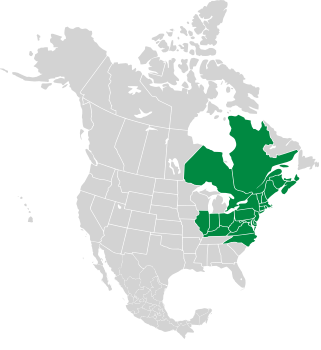 Habitats Floodplains, swamp or river boundaries. 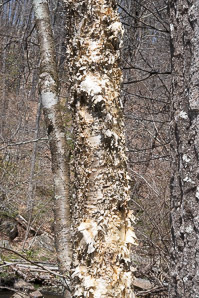 Plant The paper birch reaches about 60' (18 m) in height, rarely up to twice that. 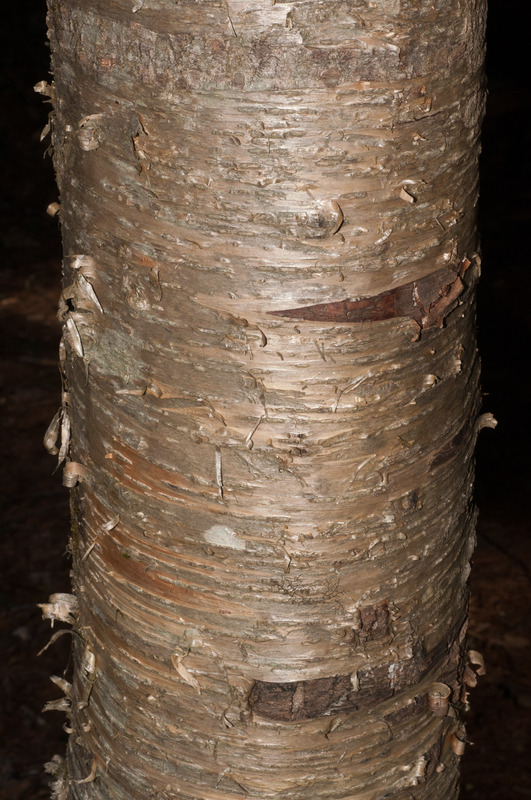 The trunk (sometimes multiply stemmed) is typically bright white, up to 12" (30 cm) in diameter, with a Trees tend to be pyramidal when young, becoming more irregular as they age. 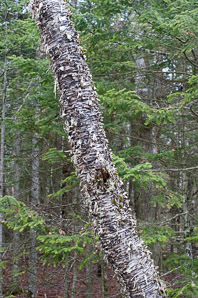 Trees reach 33' (10 m) in height, often with multiple trunks, and are pyramid-shaped in form. Flowers Both male and female flowers occur on the same tree. Male flowers are catkins 2-4" (5-10 cm) long. Female flowers are also catkins, 1-1½" (2.5-3.8 cm) long. 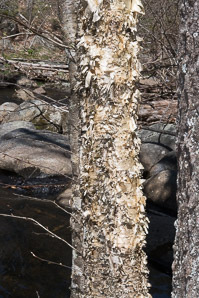 Both male and female flowers are found on the same tree (“monoecious”). 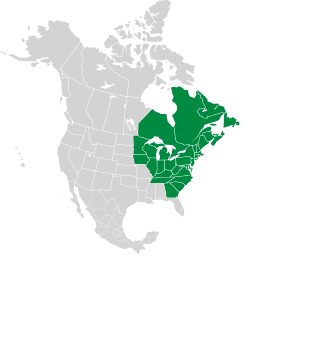 Male flowers are yellow-brown, 1-3" (2.5-7.6 cm) long, less than ¼" (6.3 mm) in diameter, usually drooping; female flowers are green, about 1" (2.5 cm) long, ⅛" (4.8 mm) in diameter. 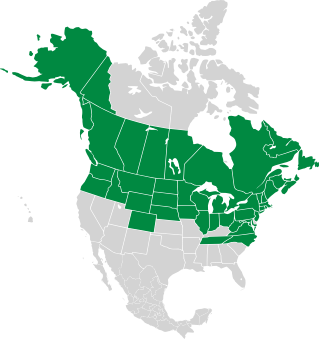 Leaves Leaves are alternate, ovate, with pointed tips; dark green above, pale green below, yellow in the fall. 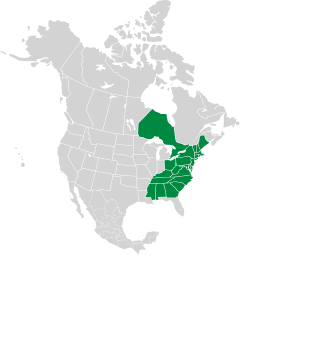 Roughly triangular (ovate to deltate or rhombic). They have irregular and sometimes doubled serrations. 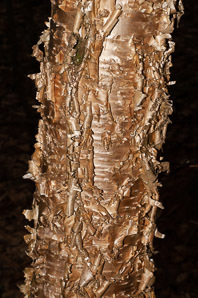 Stem Peeling, papery bark. 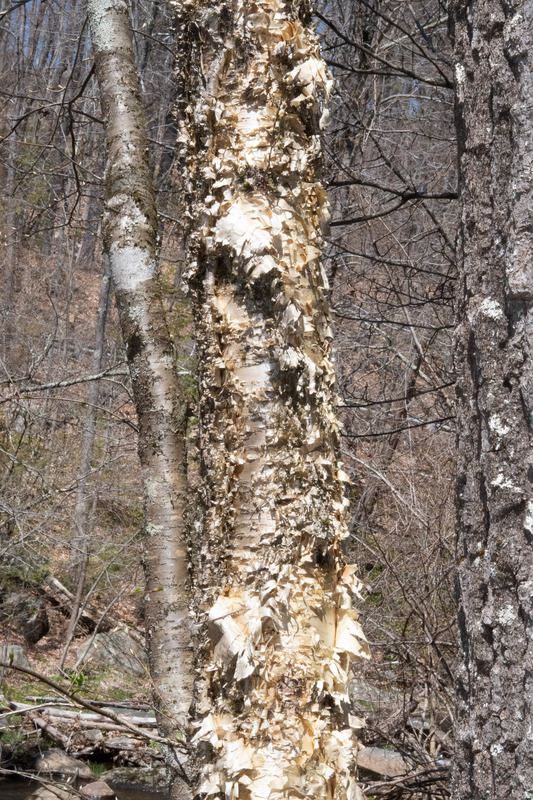 (Compare with gray birch, which rarely peels.) 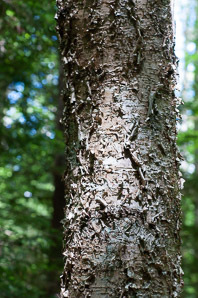 However, young trees consist of a reddish bronze bark that does not peel, and sometimes, especially in western trees, this bark remains thoughout the tree’s life. 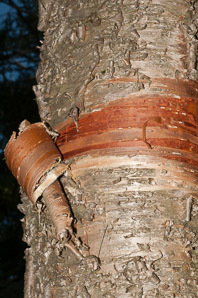 Bark is dark reddish brown when young, white as the tree ages. While white birch bark is a brighter color, and tends to peel easily, gray birch bark is tighter, less likely to peel; and darker, more often interrupted by black markings that are often chevron-shaped. 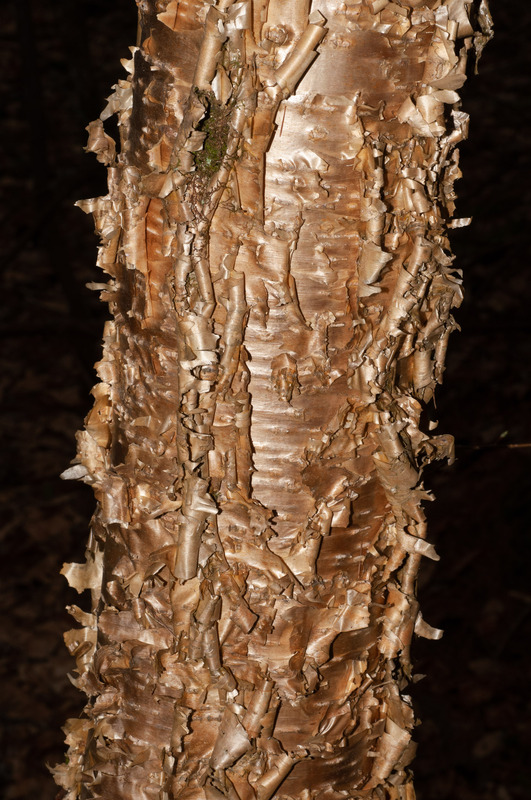 Betula alleghaniensis description by Thomas H. Kent, last updated 2 Jan 2019.